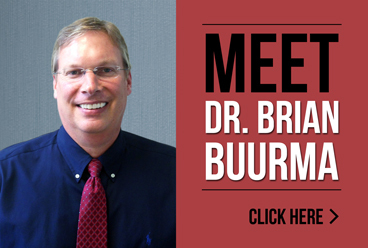 For over a decade, Dr. Brian Buurma and his staff have offered Holland residents exceptional, high-quality endodontic and root canal therapy services with the care and compassion that all patients deserve. Our professional staff will provide you with straightforward answers and modern treatment solutions, with a gentle touch! If you are looking for a trusted and knowledgeable Endodontist in Holland MI, for root canal treatment, endodontic retreatment or surgery, MTA perforation repair, or care for a traumatic injury or cracked tooth, Dr. Buurma and his staff are ready to help you with the treatment you need. When your dentist suggests the need for endodontic care, Dr. Buurma and his staff can help you understand your options and choose the best solution. For more information about Brian Buurma DDS or any of the endodontic services we offer, please contact our office or call us directly at 616.994.9722.